Maldives' opposition presidential candidate Ibrahim Mohamed Solih, center, shakes hands with a supporter as his running mate, Faisal Naseem, right, addresses the gathering in Male, Maldives, Monday, Sept. 24, 2018. A longtime but little-known lawmaker, Solih declared victory at his party's campaign headquarters in a contentious election widely seen as a referendum on the island nation's young democracy. Maldives strongman President Yameen Abdul Gayoom conceded that he lost Sunday's election to his challenger, longtime lawmaker Ibrahim Mohamed Solih, in a speech broadcast live on television Monday. Speaking in the Maldives' native language, Dhivehi, Gayoom congratulated Solih and said, "I know I have to step down now." The concession and the results were a surprise to Maldives' opposition, who had feared Yameen would rig the vote in his favor. Since getting elected in 2013, Yameen had cracked down on political dissent, jailing rivals — including his half brother and the Maldives' first democratically elected president — and Supreme Court justices. The election commission released provisional results earlier Monday showing Solih had won the South Asian island nation's third-ever multiparty presidential election with 58.3 percent of the vote. The commission said voter turnout in the country of 400,000 people was 89.2 percent. India's foreign ministry issued a statement Monday saying it looked forward to working with Solih's new government "in further deepening our relationship." The Maldives' economy, historically tied to its famed luxury tourism sector, grew under Yameen, in part due to aid and investment from China. China's foreign ministry did not immediately respond to a request for comment on Monday, a public holiday. 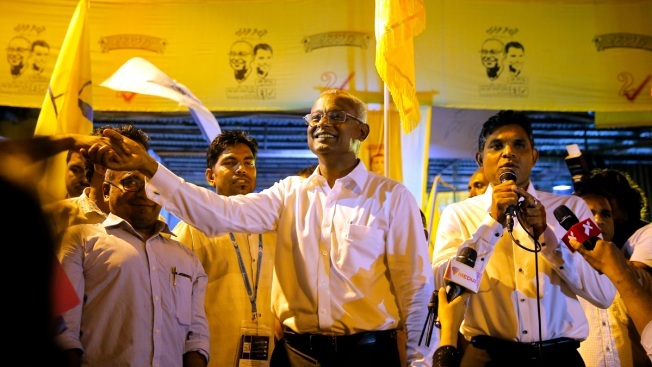 Solih campaigned door to door, speaking at rallies about human rights and the rule of law, a message that resonated with voters who saw signs the Maldives was slipping back to autocratic rule, just a decade after achieving democracy. Ahamed Fiasal, a 39-year-old IT business owner who voted for Solih, said the election result was surprising because "no one thought that Yameen would lose like this. 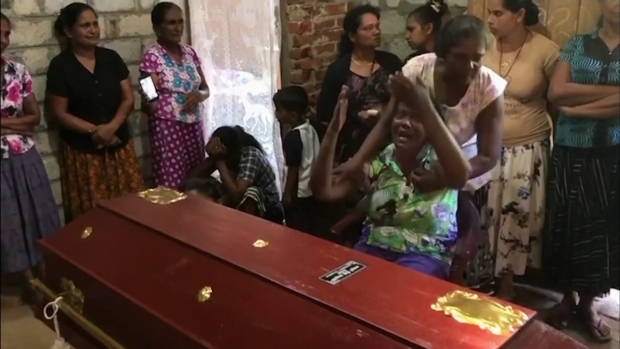 He had all the power — the judiciary, the police, the security forces under him. It seemed he might rig the election even at the last minute and would win somehow or the other." In his victory speech, Solih called the election results "a moment of happiness, hope and history," but said he did not think the election process had been transparent. A police raid on Solih's main campaign office the night before the election was seen as a worrying sign that Yameen would attempt to "muzzle his way" to re-election, according to Hamid Abdul Gafoor, an opposition spokesman and former Maldives lawmaker now based in Colombo, Sri Lanka.